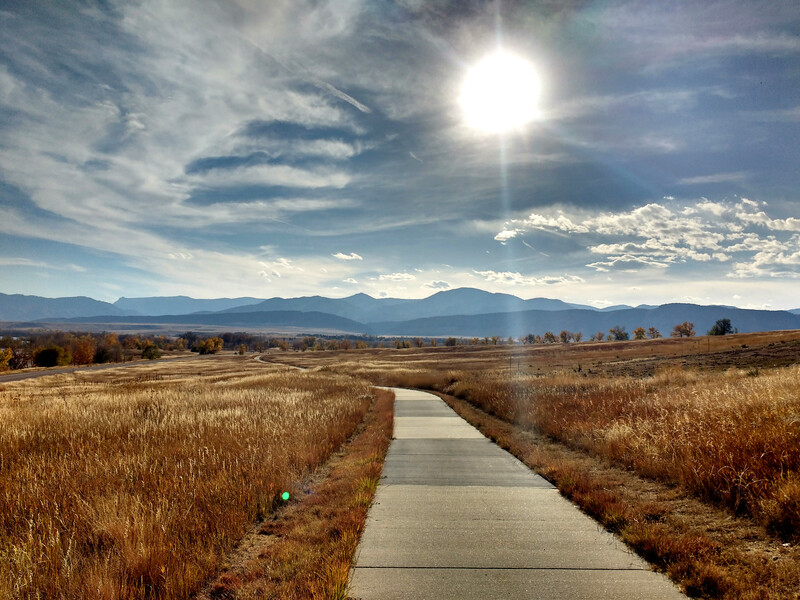 Free high resolution photo of the bike path at Chatfield State Park in Littleton, Colorado. This picture was taken in late autumn or fall. You can see the paved trail heading off in the distance with dry prairie grasses in the foreground and the mountains off in the distance. The sun is hanging low in the sky. Free picture for any use.